PASADENA – NASA-funded lunar research has yielded evidence of water locked in mineral grains on the surface of the moon from an unknown source deep beneath the surface. Using data from NASA’s Moon Mineralogy Mapper (M3) instrument aboard the Indian Space Research Organization’s Chandrayaan-1 spacecraft, scientists remotely detected magmatic water, or water that originates from deep within the moon’s interior, on the surface of the moon. 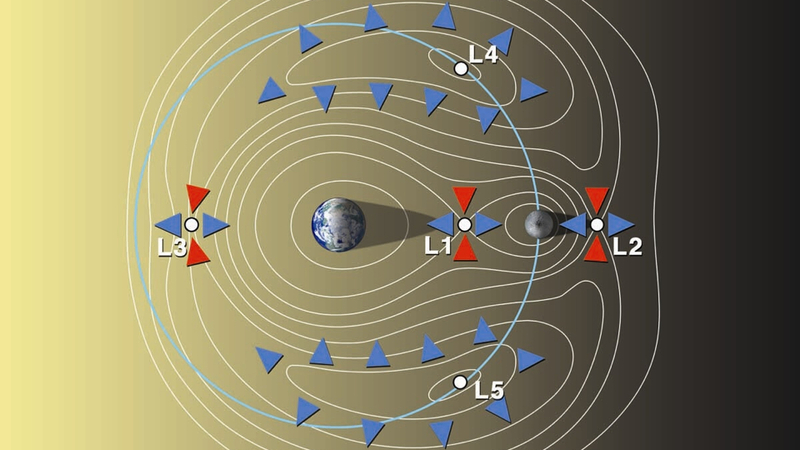 The findings, published Aug. 25 in Nature Geoscience, represent the first detection of this form of water from lunar orbit. Earlier studies had shown the existence of magmatic water in lunar samples returned during NASA’s Apollo program. M3 imaged the lunar impact crater Bullialdus, which lies near the lunar equator. Scientists were interested in studying this area because they could better quantify the amount of water inside the rocks due to the crater’s location and the type of rocks it held. The central peak of the crater is made up of a type of rock that forms deep within the lunar crust and mantle when magma is trapped underground. Is NASA about to unveil plans for manned moon mission? Suit up, people — word is we’re heading back to the Moon. According to space policy expert John Logsdon, there’s a decent chance NASA has already cleared plans to establish a manned base on the far side of the Moon with the Obama administration. Thing is, they’ve probably been keeping it under wraps in the event that Romney had won Tuesday’s election. Now that Obama has secured a second term, Logsdon says an accouncement from the Agency could be forthcoming. “NASA has been evolving its thinking, and its latest charts have inserted a new element of cislunar/lunar gateway/Earth-moon L2 sort of stuff into the plan,” said Logsdon in an interview with SPACE.com’s Mike Wall. “They’ve been holding off announcing that until after the election,” Logsdon added, noting that NASA’s mission, direction, and budget could have been revised under a Romney administration. An announcement would certainly gel with the Obama administration’s ambitious agenda for space. In 2010, the President signed the NASA 2010 Authorization Act into law, freeing up close to $60 billion in NASA spending through 2013. This funding would serve as one of the first sparks in a plan to ignite a resurgence in space exploration, including an asteroid visit by 2025 and and a trip to Mars by the 2030s. 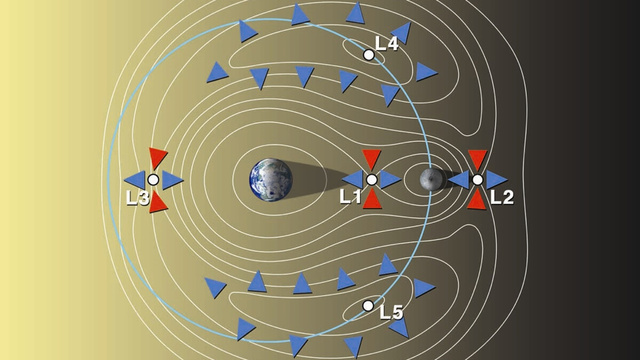 A manned outpost at the Earth-moon L2 “gateway” — shown in the diagram below — could serve as an important stepping stone in our path out into the solar system. ScienceDaily (July 11, 2012) — A team of astronomers using NASA’s Hubble Space Telescope is reporting the discovery of another moon orbiting the icy dwarf planet Pluto. The moon is estimated to be irregular in shape and 6 to 15 miles across. It is in a 58,000-mile-diameter circular orbit around Pluto that is assumed to be co-planar with the other satellites in the system. “The moons form a series of neatly nested orbits, a bit like Russian dolls,” said team lead Mark Showalter of the SETI Institute in Mountain View, Calif. The discovery increases the number of known moons orbiting Pluto to five. The Pluto team is intrigued that such a small planet can have such a complex collection of satellites. The new discovery provides additional clues for unraveling how the Pluto system formed and evolved. The favored theory is that all the moons are relics of a collision between Pluto and another large Kuiper belt object billions of years ago. 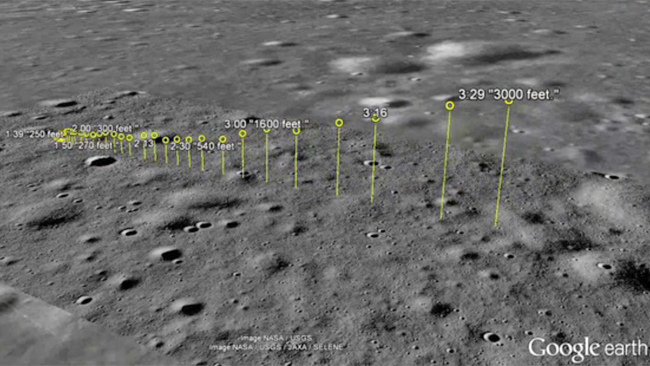 ScienceDaily (June 20, 2012) — NASA’s Lunar Reconnaissance Orbiter (LRO) spacecraft has returned data that indicate ice may make up as much as 22 percent of the surface material in a crater located on the moon’s south pole. 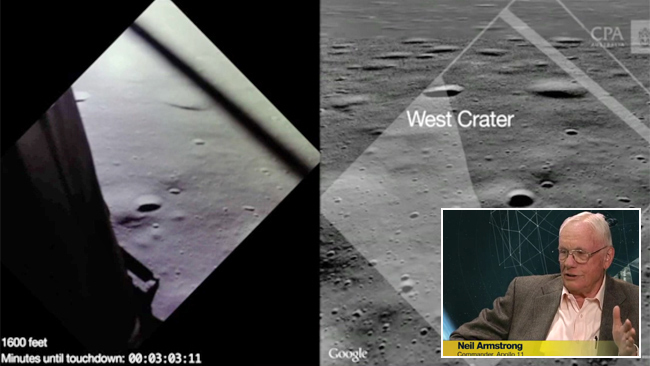 The team of NASA and university scientists using laser light from LRO’s laser altimeter examined the floor of Shackleton crater. They found the crater’s floor is brighter than those of other nearby craters, which is consistent with the presence of small amounts of ice. This information will help researchers understand crater formation and study other uncharted areas of the moon. The findings are published in Thursday’s edition of the journal Nature. The planets in the heavens move in exquisite orbital patterns, dancing to the Music of the Cosmos. There is more mathematical and geometric harmony than we realize. The idea for this article is from a book Larry Pesavento shared with me. The book, ‘A Little Book of Coincidence‘ by John Martineau, illustrates the orbital patterns and several of their geometrical relationships. .
Take the orbits of any two planets and draw a line between the two planet positions every few days. Because the inner planet orbits faster than the outer planet, interesting patterns evolve. Each planetary pairing has its own unique dance rhythm. For example, the Earth-Venus dance returns to the original starting position after eight Earth years. Eight Earth years equals thirteen Venus years. Note that 8 and 13 are members of the Fibonacci number series. Another intriguing fact is the ratio between the Earth’s outer orbit and Venus’s inner orbit is given by a square. In the following dance patterns, the planet pairing is given and the number of orbits of the outer planet. Enjoy these beautiful patterns. Let me share with you other facts about cosmic harmony. The radius of the Moon compared to the Earth is three to eleven, ie. 3:11. The ratio 3:11 is 27.3 percent, and the orbit of the Moon takes 27.3 days. 27.3 days is also the average rotation period of a sunspot. The closest : farthest distance ratio that Venus and Mars each experiences in the Mars-Venus dance is incredibly 3:11. The Earth orbits between them. The sizes of the Moon and the Earth ‘Square the Circle’ as shown in this illustration, which is drawn to scale. The perimeters of the dotted square and the dotted circle are the same length. The perimeter of the dotted red square is 4 x Earth’s diameter = 4 x 7,920 miles = 31,680 miles. YOU’RE in the lunar module Eagle and the moon is less than 1000m below you. fuel runs out in oh, about three minutes. lander as it makes it descent to the moon back in 1969. But Neil Armstrong’s commentary is real. them amongst a minefield of slopes and boulders. Mr Malley in the rare “live” commentary. Commander Armstrong spots a smooth spot other side of crater. “I’m running low on fuel. I’ve got less than two minutes of fuel,” he tells Mr Malley. The actual footage shows Eagle’s rocket engine starting to kick up moon dust. A 30-second fuel warning pings. “I need to get it down here on the ground pretty soon, before we run out,” Cmdr Armstrong says. Then a light thump, followed by the immortal words: “Tranquility to base here. that landmark day in 1969.
using Google Moon images to a US House Committee on Space, Science and Technology. It’s broken into four parts, which you can watch here. The year 2245 is just too distant — we should build and commission a real USS Enterprise right now, cracking the champagne across her hull within 20 years, according to an enterprising engineer. The gigantic ship would use ion propulsion, powered by a 1.5-GW nuclear reactor, and could reach Mars in three months and the moon in three days. Its 0.3-mile-diameter, magnetically suspended gravity wheel spinning at 2 RPM would provide 1G of gravity, and the thing looks just like the “Star Trek” ship of lore. This project is the brainchild of an engineer who calls himself BTE Dan. As in “Build The Enterprise,” which is also the name of his brand-new website. “We have the technological reach to build the first generation of the spaceship known as the USS Enterprise – so let’s do it,” BTE Dan writes. He even sifts through the federal budget and proposes tax hikes and spend ing cuts to cover the $1 trillion cost. Though the “Star Trek” connection lends the project an air of sci-fi fun, BTE Dan is hardly the only engineer dreaming up a next-generation spaceship to the stars. DARPA’s 100-Year Starship project is designed partly to foster ideas just like this one, from a project planning roadmap to a real ship. Why Does The Mainstream Media Ignore The Bilderberg Group?